Volume 4, page 107, sitting number 4500. 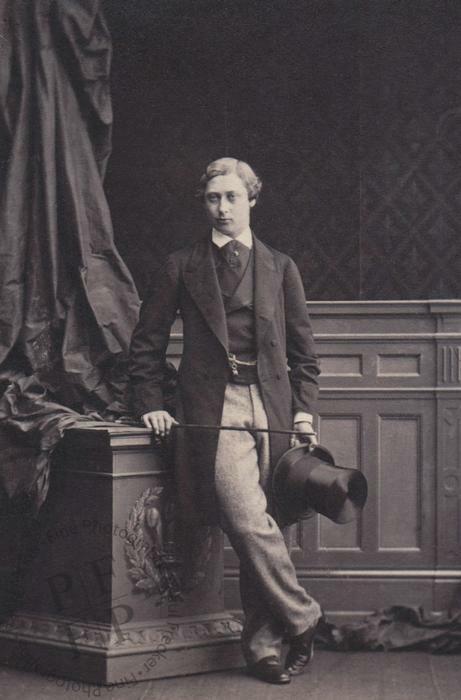 Silvy had a number of royal visitors to his studio in the summer of 1861. On 20 June the Prince of Wales sat for his portrait. On 3 July his elder sister, the Crown Princess of Prussia, the Princess Royal, visited the studio with her husband, Friedrich. The following day, their father, the Prince Consort sat for his portrait, and the day after that, on 4 July 1861, Princess Alice sat for a series of portraits.